Let's grow your Shopify store. 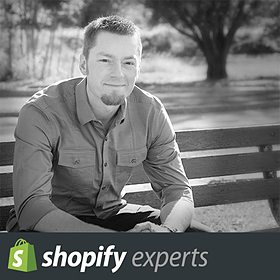 A few years back he began coaching Shopify store owners on a one-on-one basis. He works with a small handful of select clients, and is willing to take on 2 more at this time. If you are interested in selling more, ranking higher in Google through SEO, optimizing the conversion rate of your store, or growing through paid ads, then please get in touch. TruSelf Organics is a successful Shopify store that sells amazing products. In 2016 I was brought on as a Shopify growth strategist, and I am currently working with them on the development of a new product line which will be released early next year. Advantech B+B SmartWorx is a billion dollar company on the cutting edge of internal network development. In 2016 I was brought on as a website consultant. I currently meet with them on a regular basis to help develop their online marketing strategies. LMK technologies is a multi-million dollar company that dominates the trenchless pipe repair market. In 2014 I was brought on at LMK as a web marketing consultant. I currently meet with them on a regular basis to help develop and improve their online marketing strategies. The Hauser Design Group is an award winning marketing firm that specializes in Business Branding, Website Design, Website Development, SEO and Social Media Marketing - currently working with clients all over the world. Learning. I love to learn. I read constantly and take courses on an ongoing basis. This allows me to improve the efficiency and profitability of my clients projects. That is my passion. I am also an avid fisherman and outdoor enthusiast, which is what led to the development of my own Shopify store and YouTube channel. This in turn gives me the ability to practice what I preach on a daily basis, further benefiting my clients.